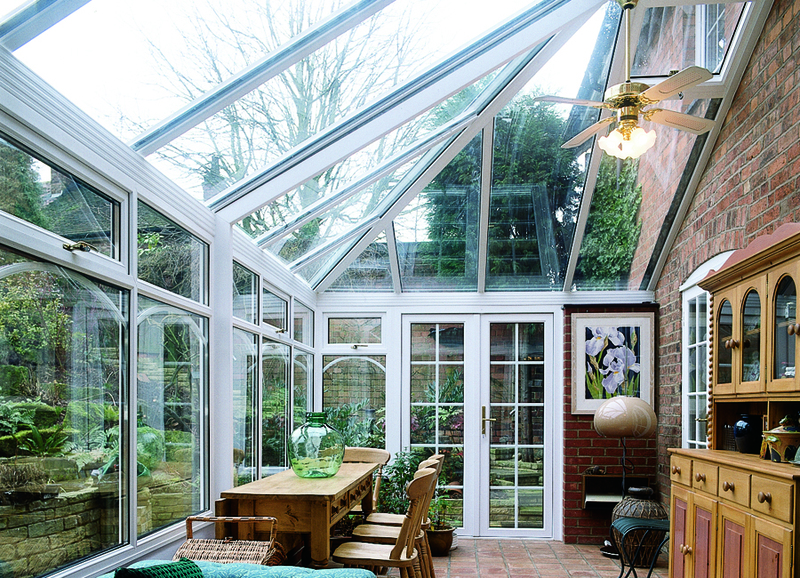 An AGS Edwardian conservatory is the ideal choice if you’re looking to add a touch of grandeur to your home as well as a light, bright living space. Edwardian conservatories are available in UPVC or Aluminium, allowing you to complement the character of your home perfectly. Frame finishes in UPVC include our popular White, a choice of wood effect colours and the dual option that combines a wood effect exterior with a white interior. This choice of wood effect UPVC means you can add a stunning conservatory that complements the natural character of your home, with the benefit of it being low maintenance. Our conservatories are purpose-built to your exact specifications and our designer will guide you through the vast array of design options that will help make your conservatory unique. These include the type of window openings, the height of walls and a choice of single, bi-fold, French or patio doors. Finishing touches include ornate crestings and finials, decorative and patterned glass, and an exciting range of decorative glass options. The sleek lines of the four-sided pitched roof let in plenty of light for a bright, airy living space, while keeping the temperature controlled. Customise your Edwardian conservatory with a choice of decorative finishes such as finials, crestings and coloured glass.